Where there’s smoke, there’s fire, and that’s how most alarm systems are able to detect and warn of trouble. But Chinese researchers have developed a new kind of wallpaper, using ingredients found in bones and teeth, that sounds the alarm when heat and flames are detected, turning every wall in a room into a potential early warning system. The problem with relying on smoke to detect a fire is that it’s not always the earliest sign of trouble. 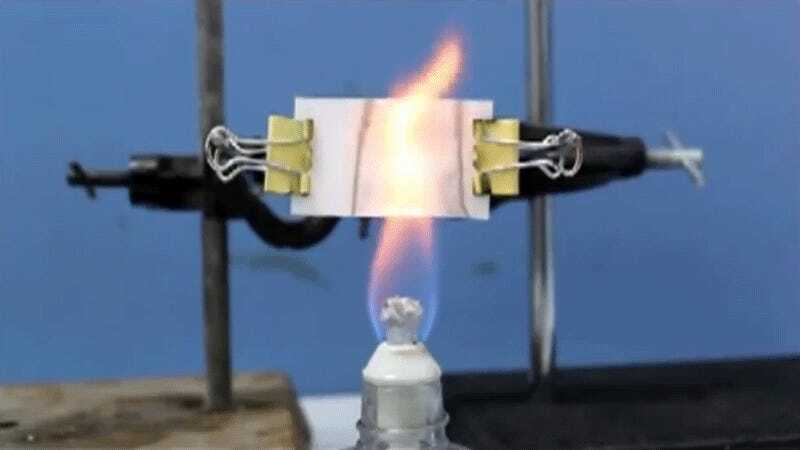 Other gases like carbon monoxide and nitrogen oxide are actually released first, but even before those emissions there’s heat and flames, and that’s where this wallpaper alternative could be a lifesaver. Researchers at the Shanghai Institute of Ceramics, Chinese Academy of Sciences, found that by creating long nanowires of hydroxyapatite, a brittle material found in bone and teeth, it became highly flexible but strong enough to be used as the base for a new kind of wallpaper. The results are not only environmentally-friendly, they’re also highly heat and fire-resistant, actually helping to prevent the spread of flames. But why stop there? As detailed in the paper “Fire Alarm Wallpaper Based on Fire-Resistant Hydroxyapatite Nanowire Inorganic Paper and Graphene Oxide Thermosensitive Sensor,” which was recently published in ACS Nano, the researchers also added thermosensitive sensors made from drops of a graphene oxide ink mixture. At room temperature, the ink works as an electrical insulator, preventing the flow of electricity. But when heat is introduced, it quickly becomes conductive, completing a circuit that sounds an alarm after about two seconds in the presence of a fire. As with any product based on a new discovery, getting this wallpaper into the hands of consumers and safety-conscious interior designers is going to take some time. Creating those long hydroxyapatite nanowires isn’t a cost-effective process just yet, and developing a way to manufacture them en masse so that the wallpaper remains affordable will require further research. There’s also the issue that no one wants to decorate with wallpaper anymore because it’s such a giant pain to hang it straight, but the pain of installation might outweigh the jarring sound of your smoke detector going off in the middle of the night because its battery is dying. 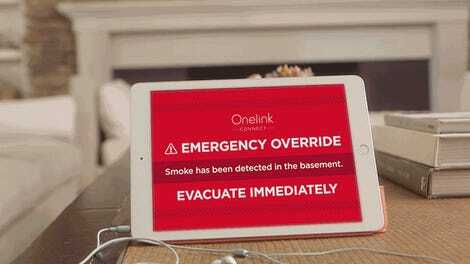 Can a $35 Battery Beat Smart Smoke Alarms At Their Own Game?